One of our Zaza team riders just sent out a small review of the American Racers 77mm 81a. Here is what he said about them. "Hey man just wanted to say thank you so much for the wheels! The American Racer model has definitely become one of my all time favorite wheel. The core makes the acceleration speed really fast, the urethane/mold shape allows me to drift with ease, and even grips corners at some very high speeds. This past weekend I've been relentlessly shredding them on many different hills and they don't seem to wear down. 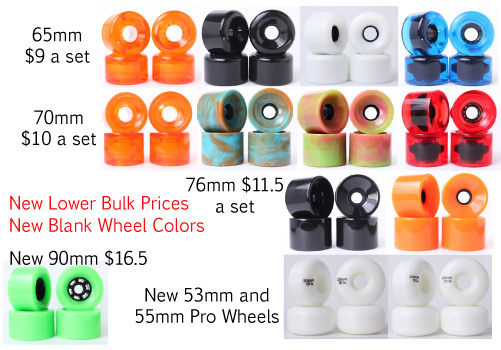 I'd definitely recommend using the same core and urethane formula in a wider square lipped mold for it would make an amazing downhill race wheel. 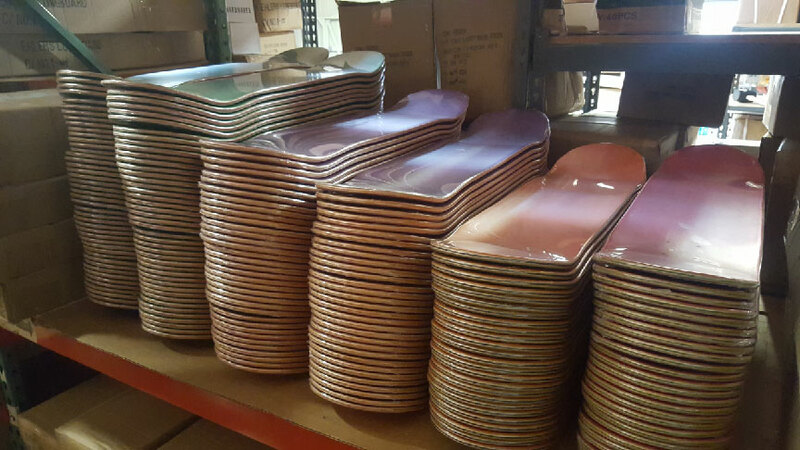 New pro blank decks added to the site. These are as good as it gets for pro banks. They are made coldpress hardwood maple for the best pop. The concave is set at an industry standard "not too much and too llittle. I suggest you sample one these popcycles you will not be disapointed. Right now we have 4 sizes 7.875, 8, 8.25, 8.5 and soon to come will be 7.75 and 8.3. Hi guys! The server/hosting company we have been with for over 5 years shut down unexpectedly. Long story short we were unable to get anything from our site. So we are building a brand new website right now. Thank you all for your patience in this unthinkable situation. We should be ready to rock and roll in a couple of days.